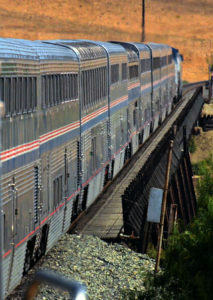 Leave the SLO Amtrak Station travel on the Coast Starlight over the beautiful Cuesta Grade to Paso Robles. 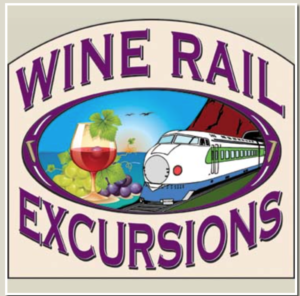 Then get transported to Pomar Junction Winery for their Train Wreck Friday party. Listen to the live music, enjoy the wine-tasting included in your fare, buy dinner or bring your own picnic, and then get transported back to the SLO Amtrak Station. Train Wreck Friday Concert series was fun. Great music, food, and wine. Train Wreck Friday's. This is the best place to be. Live music. Great BBQ. Great wine tasting.